N'Balance class and Fitness Evaluation - A Personalized P.T. Not sure if you want/need physical therapy schedule your FREE discovery visit today! Evaluating your strength, flexibility and balance to determine your overall fitness. We look for any problem areas and cater an exercise program specific to your needs. N’Balance classes are traditionally twice a week for 6 weeks. The N’Balance program is a community based person specific exercise program. Pre and Post Balance testing is performed to cater the program to your needs. 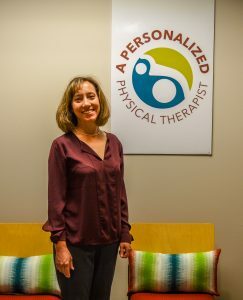 Physical therapy treatments for your aches, pain, stiffness, decreased mobility, decreased balance. Our goal is to help you return to an active lifestyle without the pain medication or the fear of falling.